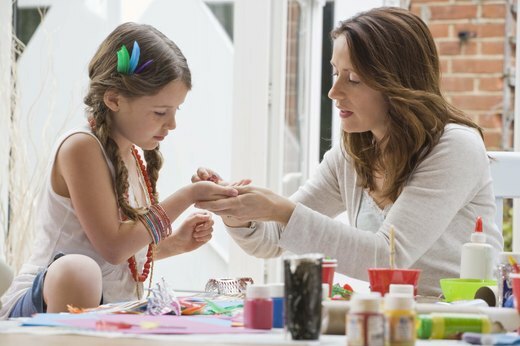 The seasons, they are a-changing -- and you can mark the transition from summer to fall by spending a memorable day crafting with your little ones. 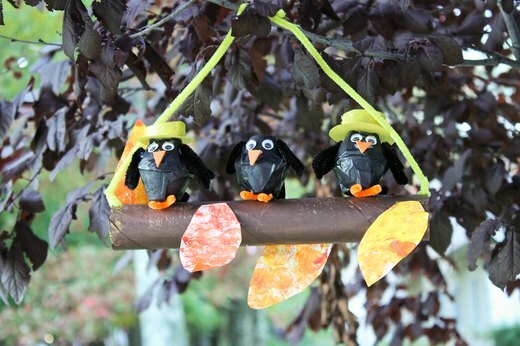 Autumn-themed crafts are a snap to make and are sure to add some seasonal snazz to your home. Bring a piece of fall beauty into your dining room with a mini-tree centerpiece. This eye-catching craft is easy for your kids to bring to life: just find a pretty branch and glue colorful felt or paper leaves to it. Place in a small terra cotta pot and you got yourself some instant autumn charm. Even when summer has passed, you can still hold on to the sun's shiny rays just a little longer with an easy-to-make fall leaf sun catcher. In this craft, tissue paper, construction paper and contact paper (along with glitter and shiny spangles for extra fall flair) combine to create a window decoration that will surely let the sun shine in. Your child's creative flame is sure to ignite while making this fun craft. Making colorful glass jar votives is simple -- start by swirling paint inside of a jar, using food coloring and mod podge (or watered-down glue). Lightly glue tiny leaves to the outside of the jar and paint over them in a contrasting color; let dry and remove the leaves. 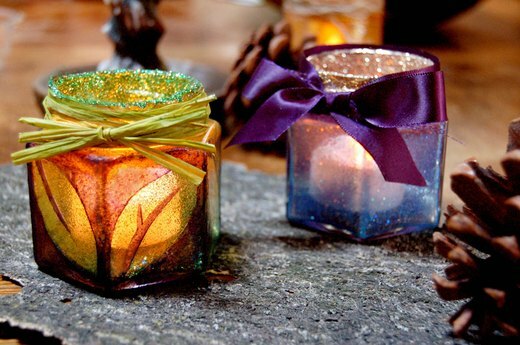 Place a votive candle inside and light for a real autumn glow. A-tisket, a-tasket, who wouldn’t love this rustic autumn basket? All you need is a paper cup, a few supplies and a little imagination. Poke two holes on opposite sides of a paper cup, then fashion a handle from a brown fuzzy stick. Paint and glue craft sticks to the cup's exterior; once dry, wrap fuzzy sticks around the top and bottom to create that “basket” look. Fill with acorns and fall for this cute craft! 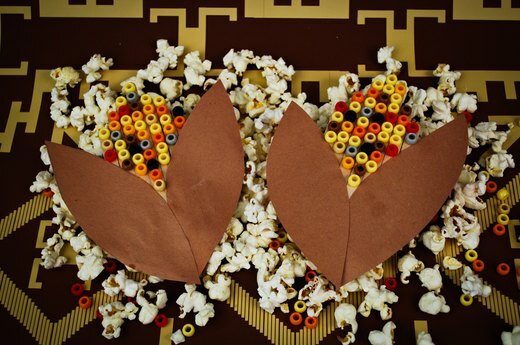 Invoke the warm colors of autumn by making this vibrant Indian corn magnet. In this craft, pony beads double as kernels of corn, and brown construction paper forms the husks. Add some magnet buttons and proudly affix to your refrigerator. Warning: Sting’s “Fields of Gold” may come to mind every time you open your fridge! What better way to add a festive feel to a child's room than by stringing some leaf buntings along the walls or across the ceiling? 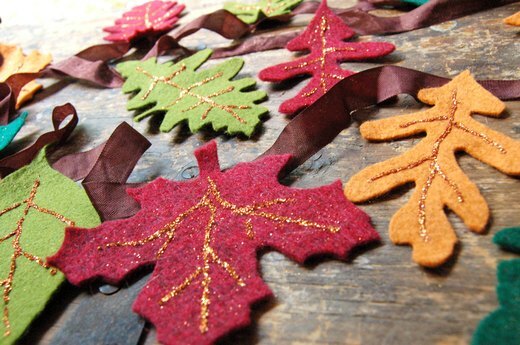 Get the party started by tracing leaves onto felt in various fall colors, then cut them out and string them onto long pieces of twine. This absolutely adorable craft teaches your kids a valuable lesson about being eco-friendly. They'll be amazed when they easily transform an ordinary egg carton and a paper towel tube into a branch full of quirky birds. Reduce, reuse, recycle ... rock on!